Australian cities are younger than the cities in Europe. So, the city managers in Australia used the opportunity to learn from the mistakes made in Europe while executing water supply and sanitation plans for their big cities. In small villages in the arid region of the Great Artesian Basin in Australia, drinking water is often obtained by the villagers or the tiny hotels by collecting and storing rainwater. Alternatively, 200-300 metres deep bores are drilled to obtain artesian groundwater resulting from old rainfall which infiltrated the Great Dividing Range in Queensland, about 50,000 to 150,000 years ago. In Australia, major cities like Sydney, Perth, Brisbane, Adelaide and Melbourne have their own specialties in water supply. They have long-term futuristic plans for obtaining additional water supplies, as the population of the cities is growing and the climate is becoming erratic. The city of Melbourne has one of the ideal water supply schemes managed by the company Melbourne Water. Anyone visiting Melbourne is surprised to see a note from Melbourne Water, displayed in the foyer, stating that the quality of tap-water is as good as any “bottled mineral water”. The note reads: ‘Go ahead, drink and enjoy the Melbourne Water straight from the tap’. Such confidence arises from the fact that the company takes meticulous precautions in all phases of providing drinking water supply, starting from range-land management to distribution network, in order to provide good quality drinking water to about 400,000 residents spread over roughly 32 square miles of the city area and the neighboring towns. The catchment areas or the range-lands are treated to promote infiltration of rainfall into the ground and to reduce the velocity of runoff. This results in reducing the silt-load coming into the reservoirs. The infiltrated water slowly reaches the streams which flow to enrich the storage reservoirs. Most of these catchments and range-lands have limited public access. They yield very clean raw water to the reservoirs. This water receives further treatment to make it suitable for human consumption. In times of critical excess demand, Melbourne Water uses water from the Victorian Desalination Plant located at Dalyston, producing around 410 mega litres per day. In addition to this, the North-South Pipeline, also known as the Sugarloaf Pipeline, comes from the town of Victoria north of Melbourne, bringing around 96,000 mega litres per year into the Sugarloaf reservoir of Melbourne Water Co. Surface water stays in the storage reservoirs for up to five years, which helps to improve its quality as some of the impurities break down over the time. This storage in several reservoirs also ensures availability of water in lean years when rainfall is low. The reservoirs are interconnected, allowing movement of water from one reservoir to another whenever needed. Demand — People tend to use more water in summer, which causes it to travel faster through the pipes. Temperature — Temperature changes the taste of water (cooler water generally tastes better) and it depends on the time of the year. In spite of such changes the monitoring of water quality supplied to homes and industries, is very strict. Each year, Melbourne Water tests about 50,000 samples from over 160 locations, including, storage reservoirs, service reservoirs, aqueducts, transfer mains and points of supply to the retail water customers. Testing of water samples helps fine-tune the water treatment processes, so they can add chemicals in the precise amounts needed; identify potential issues like algal blooms in advance; decide where to transfer water, such as avoiding reservoirs with water quality issues. Australia being a dry continent, every provider of water and sanitation service to cities, including Melbourne Water, searches for new methods for water storage such as wet-lands, water ponds, aquifers and also for reuse/recirculation of waste water. Unfortunately, groundwater in the local aquifer is not much in use within urban Melbourne due to its brackishness and due to the pollution caused by industries. Given the need to find a sustainable water strategy for the future, it is very likely that the importance of groundwater will rise after purification through Reverse Osmosis Units. The system of harvesting of storm-water in ponds and wet-lands has certain advantages, as it reduces storm water pollutants and turbidity, and it reduces reliance on drinking water for irrigation. The system provides up to 160 mega litres of storm water per year, or 89 per cent of the requirement for irrigation of city parks. Water used for such irrigation is passed through ultra violet disinfection units. It creates a variety of different habitats, which have resulted in greater biodiversity. The treated storm water flows slowly through about 70,000 aquatic plants. It enables sports arenas to remain green all year round, which has enhanced community health and well-being. It also creates a space for community enjoyment and recreation. Boardwalks, footpaths and educative sign-boards allow the people to connect with the landscape. 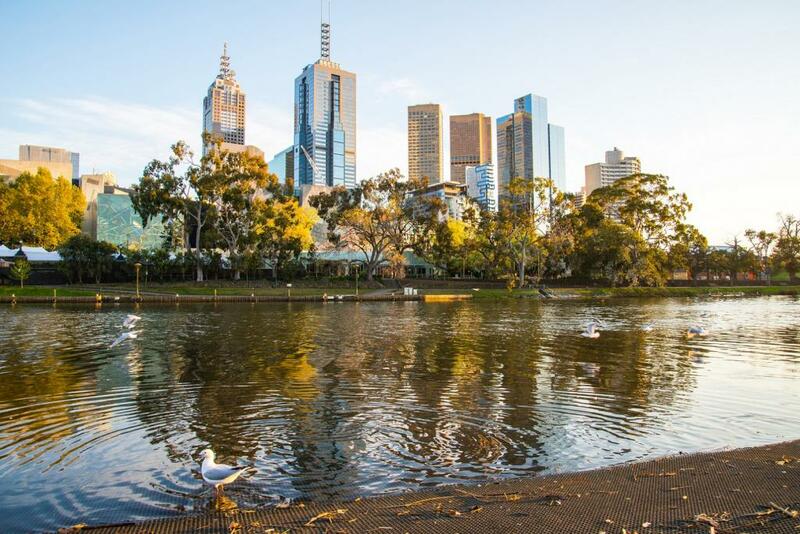 In Melbourne, one finds a rare combination of high quality drinking water supply along with careful treatment of storm water and waste water, for providing a green living environment to the citizens.